Healthy Cooking Oils – Cold Pressed or Extra Virgin? Navigating the grocery store can be tricky when starting a diet or trying a new recipe. Most product labels consist of lengthy ingredient lists, alluring buzzwords and amazing health claims, but what do they really mean? 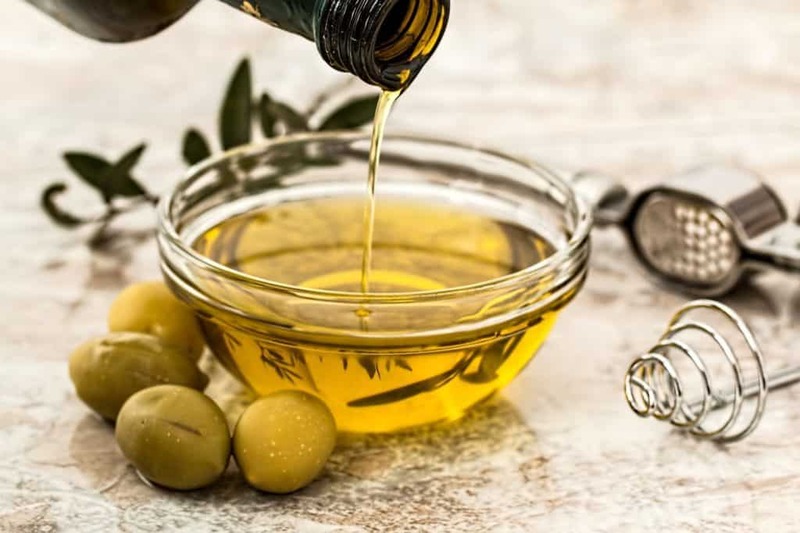 When we started the keto diet, we started shopping for more fats and healthy cooking oils than we were used to, which is why we're providing you with some pointers on which cooking oils to buy and which ones to avoid. Let's dive deep into cooking oil and find out what extra-virgin and cold pressed really mean! Which Cooking Oils are Harmful? Look on the back of any bottle of sauce in your fridge and unfortunately, you'll probably find there's a refined vegetable oil in it. Vegetable oils like canola oil, soybean oil, and corn oil are highly refined oils that are widely used in baking, deep frying and hundreds of other processed foods. 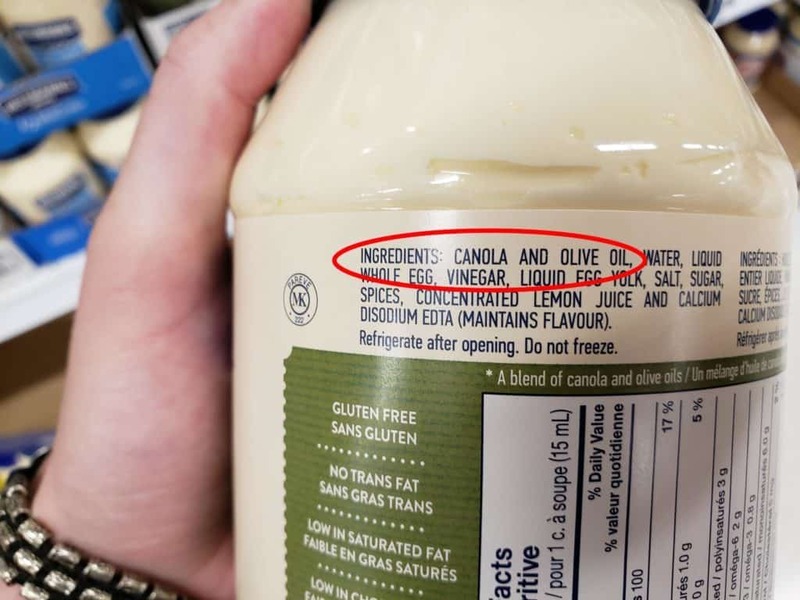 Don't be quick to trust a label that says, "Made with Extra Virgin Olive Oil" or "Made with Avocado Oil". Read the ingredient list on the back if the bottle because most of the time, the first ingredient on these products is canola oil! Canola Oil is the first ingredient. Refined oils undergo high heat, bleaching, and deodorizing to produce a neutral, mild tasting cooking oil. Even olive oil and can be refined and stripped of its nutrients, so it's important to know which kinds to buy. Contain dangerous trans-fatty acids which can increase risk of cardiovascular disease. Low in healthy saturated fats. High in Omega-6 which can cause inflammation in the body, if consumed in high amounts. Inflammation is linked to heart disease, joint pain, cancer and other health issues. Recent studies on Alzheimer's Disease have associated the consumption of canola oil with worsened memory and weight gain in mice. Smoke Point: 320ºF - Best for drizzling on salads, not for cooking. Extra-Virgin olive oil is nothing but the juice from a ripe olive. It contains all the health benefits olives are known for, such as antioxidants, anti-inflammatory properties, and high levels of saturated and monounsaturated fats. We drizzle extra virgin olive oil on our veggies and salads. Check out Day of Keto Eating in Italy, where we learned how to properly taste olive oil! But what if your bottle of extra-virgin olive oil isn't really what it says it is? Back in 2016, nearly 80 percent of extra-virgin olive oil on grocery store shelves were tested as fraudulent. ​Studies found the oils were refined, chemically processed or diluted with refined vegetable oils, even though the ingredients listed "100% Extra Virgin Olive Oil". Pure extra-virgin olive must not contain any chemicals and have an acidity level of less than 0.8 percent. The fruit is crushed once on the first-press and the oil is mechanically separated without the use of high heat (This is where the term cold-pressed comes from.) This oil undergoes minimal processing and low heat to retain maximum health benefits and flavor. For more information on the olive oil fraud, read “Extra Virginity: The Sublime and Scandalous World of Olive Oil.” or check out The Gaurdian and Forbes. Unlike how extra-virgin olive oil is pressed once, virgin olive oil is pressed twice. It just means it went through more processing. This means the olive oil was mechanically extracted from the fruit without the use of high heat. All extra-virgin olive oil is cold-pressed. This oil was refined and chemically processed to produce a light in color and mild tasting oil. This process has stripped the oil, damaged it at high temperatures, and could potentially be diluted with other refined vegetable oils. It has a high smoke point of 468°F. Make sure the bottle says Extra-Virgin Olive Oil. Make sure the oil comes in a dark bottle. Light, heat and air are olive oil's biggest enemies and a clear bottle is a clear sign of fake or refined extra-virgin olive oil. Extra-Virgin Olive Oil is not a cheap product. Only buy Extra Virgin Olive Oil if it costs at least 10 dollars per liter. Look for a harvest date on the bottle. This is a sure sign of true extra-virgin olive oil. Place the bottle in your refrigerator. Pure extra-virgin olive oil will turn cloudy or slightly white. When you open the bottle, the oil should have a strong aroma of herbs like tomato leaves and wild artichoke. Just because the oil is green in color, doesn't mean it hasn't been refined. Manufacturers add chlorophyll to the diluted oil to give it a green color and trick consumers. Smoke Point: 350ºF - Best for cooking at medium temperatures. 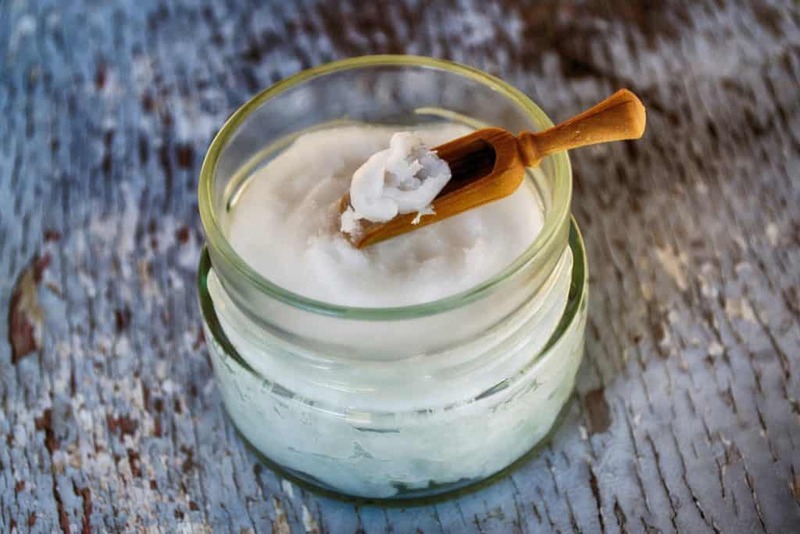 Coconut Oil has risen to the top in recent years for its health benefits, especially for its high levels of medium-chain triglycerides (MCT oil). We use it in many of our recipes, including our Fried Goat Cheese or Cookies and Cream Fat Bombs. Check out our Fried Goat Cheese recipe for a quick video tutorial on how to fry food using coconut oil. High in healthy saturated fats. Provides a boost of sustained energy. When looking up and down the shelf of different coconut oils, it can be tricky to know what the buzzwords really mean for your health. The nutritional benefits of coconut oil can vary depending on the way the oil was removed from the fruit. There are two main types of coconut oils you can buy, virgin or refined. Virgin coconut oil is made from fresh coconut meat and is extracted without the use of heat (cold-pressed). This ensures the aromatic coconut flavor isn't stripped from the final product. Refined coconut oil is made from dried coconut meat, which is also called copra. Just like other refined oils, refined coconut oil undergoes high heat and is sometimes mixed with chemicals until it becomes stripped of most of its coconut aroma and flavor, leaving behind a more neutral tasting oil that can tolerate higher cooking temperatures (smoke point). Do your research if you are heavily concerned about the production process of your coconut oil. Some companies use steam and other methods to gently refine oils, so they stay closer to their natural state. Smoke Point: 520°F - Best for cooking at high temperatures. 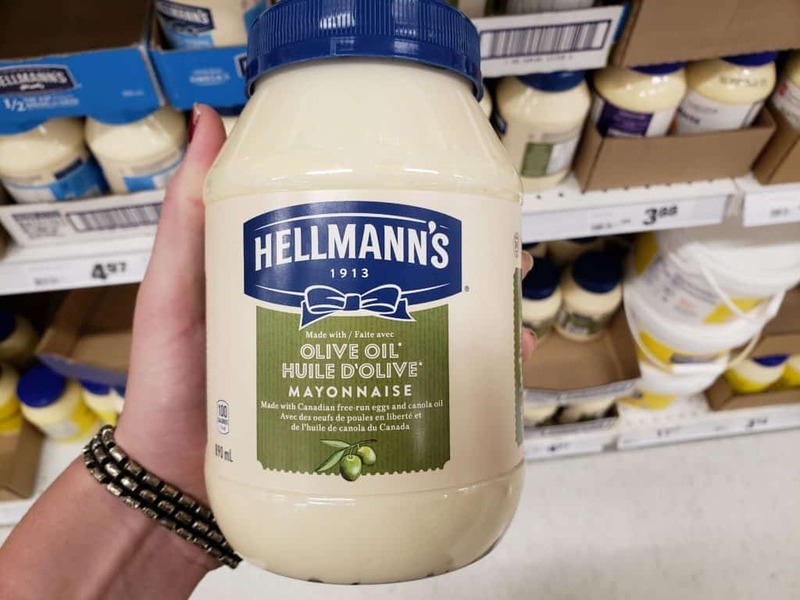 Since we've eliminated refined vegetable oils from our diet, we've started looking for products that are made with avocado oil instead, our favorite being Primal Kitchen mayonnaise. In some places, avocados are known as vegetable butter and are called butter pears, which makes sense! They are so smooth and creamy, just like real butter. Avocado oil is high in healthy fats, has a strong avocado flavor, and is green in color. Watch our Keto Grocery Haul at Whole Foods Market to see which avocado oil mayonnaise we buy! The avocado oil we look for is extra virgin or virgin. 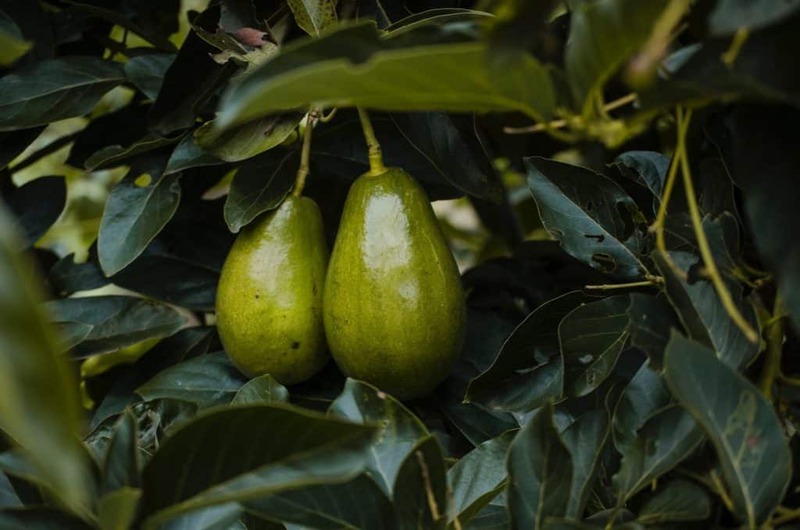 According to the Standards for Avocado Oil these avocado oils are cold-pressed, mechanically extracted from the fruit under low heat, and no chemical solvents were used in the process. Nut oils have high smoke points, making them good options for cooking, but they are high in Omega-6 fatty acids. Your body requires a specific ratio of Omega-3 to Omega-6 fatty acids, and most people tend to consume too much Omega-6, so we don't use these oils very often. If you want to use a nut oil for added flavor, drizzle it over top of your meal. Sesame oil can take an Asian dish to the next level. That nutty, savory flavor is what gives our Egg Roll in a Bowl recipe that extra punch of deliciousness. The biggest tip we can give you when shopping for cooking oils is to do your research. Look up the brand online and find out how they harvest their oil and what kinds of extraction process it goes through. Usually, the less the oil is processed, the healthier it will be. If you're curious about cooking oils, there are plenty of videos online demonstrating how companies make their oil, and even videos showing how you can make your own oils at home. Watching videos like this may help you understand the hard work that goes into farming, harvesting, and manufacturing high quality oils. Comment below and let us know which brands you look to for high quality cooking oils!